Our friendly welcoming team ensure your holiday is smooth, allowing you to kick back and embrace the sparkling essence of yoga. Relish the warming sunshine, pristine countryside setting, inhale and breathe in the Aegean, relax and practice. Let your mat roll on the ground gaze up, experience a tranquil soul opening horizon. A yoga experience worth sharing, classes can be adopted to suit guests’ different levels. 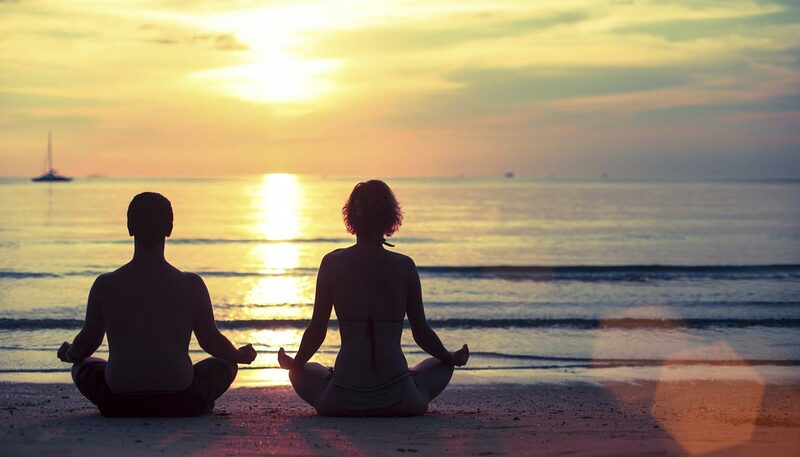 We have crafted the perfect island holiday and yoga retreat story for you! Weak up, breathe and flow into the island’s sacred and revitalizing energy. 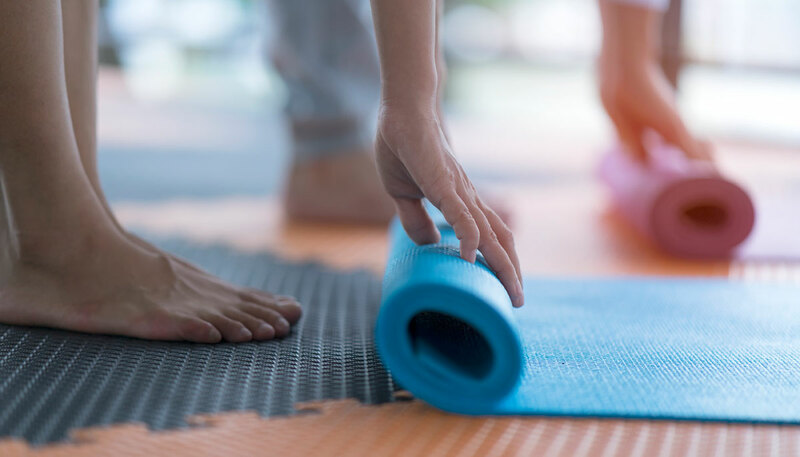 We offer a morning practice which provides you with a total awakening to mind, body and soul through a combination of movement, meditation and music. Our classes based on Hatha Yoga traditional practice are specially shaped for all ages and all levels. Hatha refers to the practice of physical yoga postures. The word “hatha” can be translated two ways: as “willful” or “forceful” or the yoga of activity, and as “sun” (ha) and “moon” (tha), the yoga of balance. Hatha practices are designed to align and calm your body, mind, and spirit in preparation for meditation. Evening classes are hatha yoga based classes followed by guided relaxation – Yoga Nidra. Yoga nidra, a yogic sleep as it is commonly known, it is an immensely powerful meditation technique and one of the easiest yoga practices to develop and maintain. While the practitioner rests comfortably in savasana (relaxation pose), this systematic meditation takes you through the five layers of self, leaving you with a sense of wholeness. Yoga nidra offers a space to explore what you need in the moment, as well as an opportunity to work on releasing long-held emotions. Yoga nidra can serve as a pathway to freedom without creating bodily stress. When you think of massage, you probably expect to be a passive participant, lying under a blanket as a masseuse presses and kneads your tight muscles. However, a Thai massage is a whole different experience. Yes, there’s a masseuse using her palms to knead your muscles, but you’ll also be twisted, stretched and have feet, thumbs and fist work your body. Yoga poses, are also part of this Eastern massage tradition. Traditional Thai massage uses no oils or lotions. The recipient remains clothed during a treatment. There is constant body contact between the giver and receiver and the body is compressed, pulled, stretched and rocked. The receiver will be positioned in a variety of yoga-like positions during the course of the massage, that is also combined with deep static and rhythmic pressures. There is a standard procedure and rhythm to the massage, but the giver adjusts to fit the receiver healing needs. The practice promotes positive energy circulation, so you feel balanced and rejuvinated. Thai yoga massage has numerous other benefits too, including reduction of pain and stress.